When facing in the right direction all we have to do is keep on walking. This sterling silver token bracelet makes a lovely gift for someone pursing a dream. Whether they’re starting college, opening a new business, or embarking on an adventure, every time they look at the shining circle of silver, they’ll remember that one day their patience will pay off. Circles often represent fulfillment and this unique piece includes several of them. The adjustable black cord features two circles that embrace a round token with a circular center. 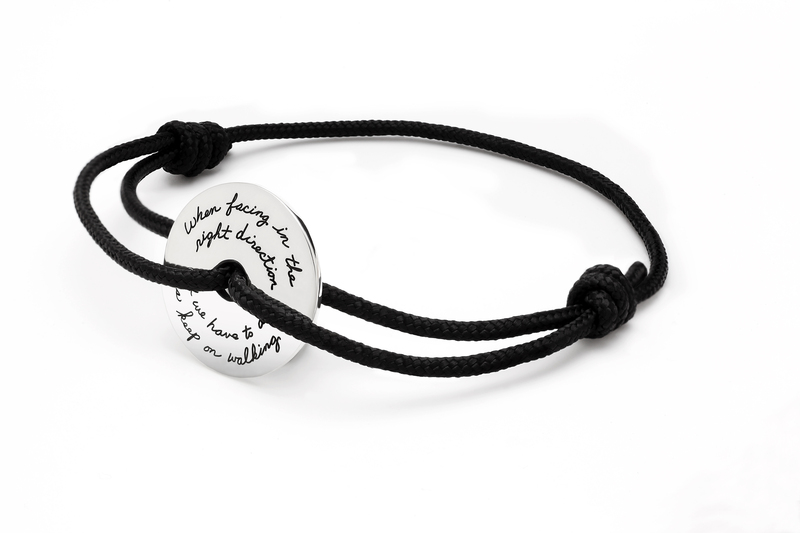 Together they represent the wholeness the wearer will experience when they persistently head in the right direction.